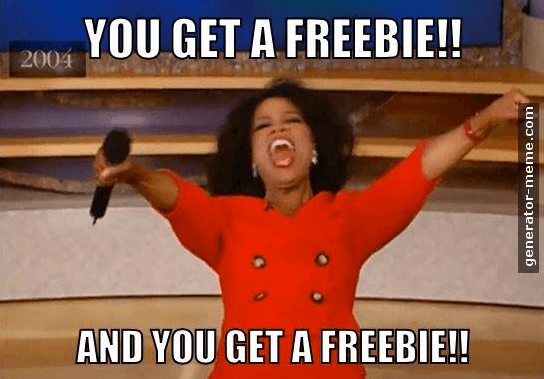 Just the other day, I received an all-staff email at work inviting me to attend a freebie course on ‘Realising Your Potential’ – complete with a photo of Oprah. I scanned the email, laughed heartily and instantly archived it, wholly confident that I, Marc Rousseau, had already reached my potential and didn’t need to have some course on the matter, thank you very much. A grand total of 3 seconds later I checked myself, reopened the mail and asked to attend the course. You see, thinking you have reached your potential is completely bonkers. Setting yourself goals and targets in life isn’t reaching your potential; it’s striving to achieve these goals no matter what, and not quitting under any circumstances, which shows the world your mettle and the true measure of your potential. I showed up 25 minutes late because I took the train in the wrong direction. I was greeted by the charming and convivial Zoe, the host of The School of Life Melbourne at 669 Bourke St. She ushered me into a very small room full of books, the teacher and about 30 tightly packed attendees. I accidentally kicked a chair (which was in use), spilt the water Zoe gave me and finally settled in place, bright-eyed and red-faced, ready to realise the hell out of my potential. The course was philosophical and eye-opening; we discussed the importance of being yourself, the centralising of one’s values, letting go of the past and the concept of life ‘marriages’ – the ones we have with our work, with others and with ourselves. We also, quite importantly I found, discussed why we attended. Why were these 30 people gathered to find out how they could reach their potential? Asking ourselves that question really opened up the room. I saw people engaging more, like the realisation that we all had this characteristic in common finally gave us a foundation to connect. We paired up or sat in three’s, asking each other about what our goals were, and trying to help each other reach them with real life actions. We drew pictures of pivotal, happy moments in our lives and analysed them together, feeling both joy at being able to share these moments with each other and warmth at getting to hear about our new friends’ stories. We talked about vocation, connecting with nature and this terrible trend of self-deprecation so many of us seem to fall victim to, and acknowledged what we should do about it. By the end of the course I felt good, I felt like a bit of a hippy, but I felt good. I’d made friends with a few people and even scheduled a couple beers with the gentleman beside me. We’re going to talk about how he can get out of his 16 year tenure and start a new venture. I felt empowered and humbled, both proud of how much I’d achieved in life and fully aware of how much further I had yet to go. Realising one’s potential is about self-exploration, self analysis and the ability to ask yourself ‘what do I want, and why do I want it?’. In response to a pre-task we’d been set, I’d come into the room with three goals I wanted to reach. I’d written some very prescriptive and sadly materialistic points. By the end of the session, my three main goals were: ‘Be healthy and happy, spend more time out in nature and for God’s sake, just relax.’ I think aiming to achieve these goals every day is a wise decision. Don’t you?